Bases 100 ml from Inawera with different concentrations of nicotine, either VG, PG, VG +PG or Menthol: VG Biobase, VPG, VBT, VPG Plus 70/30%, PG Eco, 2D Fresh, Dirty Universal or Neutral. 2D Fresh Base 100ml methol from Inawera. Universal Base 100ml from Inawera. Different nicotine levels available. 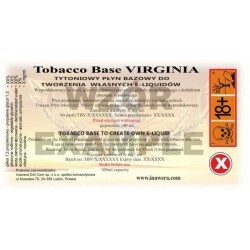 Virginia Base Tobacco 100ml from Inawera. More nicotine levels available. 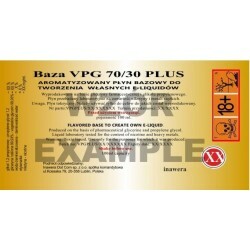 Inawera 100ml VPG Base (50%VG+50%PG). Laboratory tested for heavy metal content. PG Eco Base 100ml from Inawera. Various nicotine levels available. VG Biobase 100ml from Inawera. Various nicotine levels available. VPG Plus base with 30%VG and 70%PG. This VPG base created with a touch of etylomaltol. Dirty Neutral base from Inawera. VPG base with the special know-how "ashtray" flavor added. Can be vaped directly or used in your own mixes. Contains 43%PG, 48%VG, demineralized water and a touch of Etylomaltol. The database was created by mixing and propylene glikol & Biogaza with etylomaltol. The quality of the base is guaranteed by company’s, professional laboratory.